By the government’s decision, Ginap LLC was granted a customs duty exemption facility for all equipment, components, spare parts and raw materials imported under a new investment program to be implemented in the priority area. The company will use the imported products in the production of artificial and plastic film flexo printing, vacuum bags and etc. Investments make up AMD 2.5 billion, up to AMD 1 bln investment in new equipment and AMD 8.9 bln in to purchase raw materials by 2025. 56 jobs have already been generated; 50 more jobs will be provided with an average salary of AMD 180 000. By the government’s decision, Armenian Helicopter and ArmSanprodact LLC will also benefit from customs clearance privileges. One passenger helicopter, imported by Armenian Helicopter LLC, will be used in small aviation. The company has already invested 1,550,000,000 AMD and is going to invest AMD 271,400,000 at the next stage. 13 jobs have already been created; 3 more jobs will be made available with an average salary of 600 000 AMD. ArmSanprodact LLC will use the imported goods to build a greenhouse farm with an investment of 42.68 billion drams. It is planned to create 700 new jobs in the framework of the investment program with an average salary of 150 000 AMD. Under another decision, Artik LLC will benefit from a VAT extension facility for a period of three years. The company is going to engage in textile production in Maralik town of Shirak Marz. The company will produce fiber and medical cotton. In addition, they will process scraps. Artik LLC intends to make a total investment of around AMD 6 billion in order to create 160 new jobs in the course of three years with an average salary of AMD 185,000. The Executive amended its decision of November 19, 2015 in order to authorize the import of right-hand drive vehicles under the Upgrading for Domestic Consumption Procedure by the deadline of March 1, 2019. The reference note says that the decision had been drafted following discussions held with relevant public agencies and the members of the Right-Hand Steering Wheel initiative. 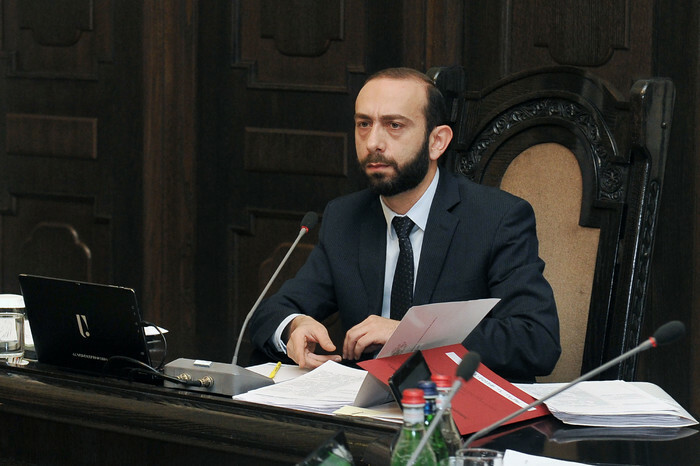 The aforementioned customs procedure will allow the owners of right-hand vehicles to import them into the country without having to overhaul them outside the Republic of Armenia. 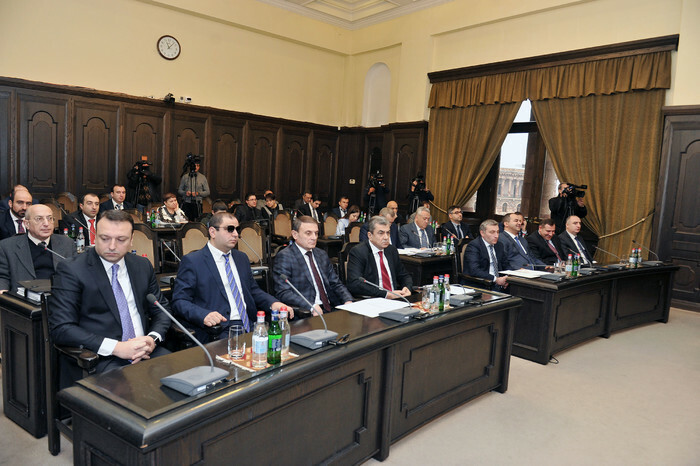 In the meantime, the owners of such vehicles need to substitute the right-hand drive system with the left-hand drive system within 6 months, after which they will be allowed to register the cars with the Police and use them freely in the territory of the Republic of Armenia. 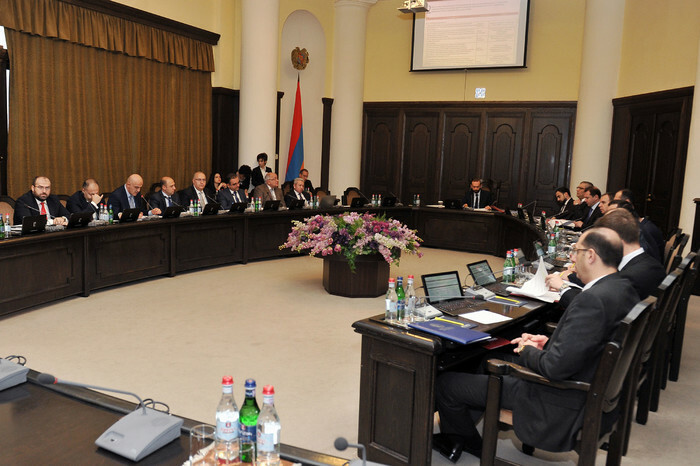 The Cabinet next approved a proposal for signing a letter-agreement between the Republic of Armenia and the European Bank for Reconstruction and Development on extending the loan arrangement referred to as Armenia’s Northern Border Modernization Project as signed on November 23, 2012. According to the reference note, there is a need to extend the agreement once again, as the design work has not started yet. In this way, the credit facility will be accessible for another 3.5 years until May 23, 2022. The meeting approved the list of specialties and entry exams in the 2019/2020 academic year under Bachelor’s and Master’s degree programs for full-time tuition and extra-mural courses. The Government passed a decision in a bid to provide for proper organization of the 2018 mandatory call-up campaign of doctors-reserve officers.